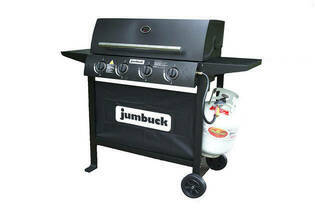 Snapshot: The Jumbuck 4 Burner Hodded Portland patio (deck) barbecue has a medium-sized cooking area but no sideburner. How well does it cook? Excellent at roasting a whole chicken.